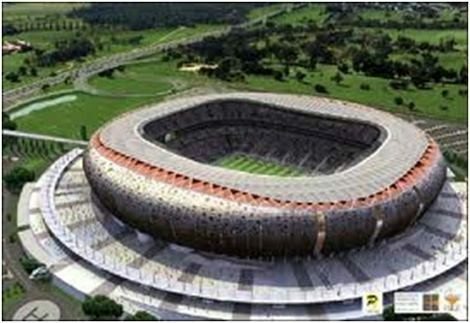 The construction of the Gahanga Olympic Stadium in Rwanda will commence later this year, thus is according to the Rwanda Housing Authority (RHA). The Rwanda Housing Authority Director General, Eng. Didier Sagashya confirmed the reports and said that the development of the Stadium is among other multi-million dollar projects that have been contracted to his Authority by the Rwandan Government. “We have developed the concepts and the next stage is the feasibility study. Our plan is to make sure that the stadium together with the Rwanda International Exhibition Park can be constructed on the same piece of land. We are going to meet with the Ministry of Sports and Culture and other partners so that we can discuss about the project designed concepts,” he explained. The development of the state-of-the-art stadium will approximately cost a whooping US$ 60m while US$ 50m will be spent of the exhibition park. The whole project will occupy 55 hectares of land. Once complete, the Olympic stadium will not only serve as a football ground but will also cater for other facilities like the athletics track and field, along with hosting other sports facilities like the Olympic swimming pool and gymnastics facilities. Rwanda Housing Authority is a public institution based in Rwanda with its head office in Kigali city. It is an agency under the ministry of infrastructure, legally established by law no 40/2010 of 25/11/2010 and published in the official gazette no 09 of 28/02/ 2011.The Institution started operating in December 2010. Rwanda Housing Authority was established in order to organize the construction industry as a whole and by doing so to spur Economic Development and Poverty Reduction which guide Rwanda’s medium-term development.